While most guys will say that function and performance is the utmost important item, fashion and style often comes in a close second. Not all brands get it right and I have plenty of shirts, shorts, jackets, etc. that sit in my closet because either they don’t fit right or they completely miss the mark in style. 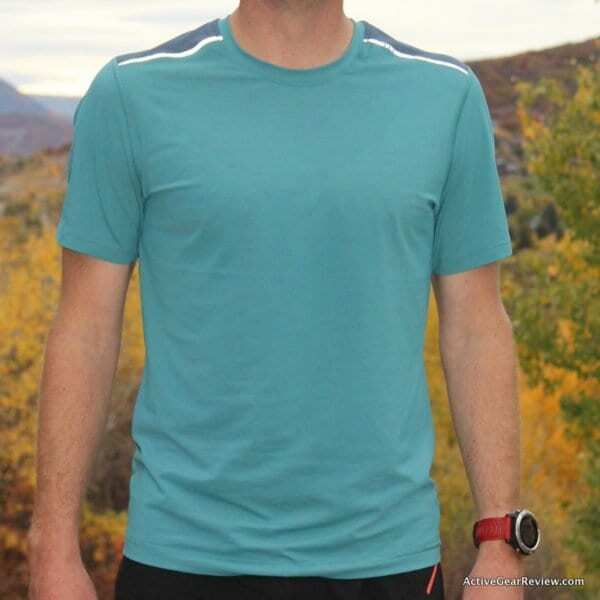 I’ve been able to test out a few items in Lululemon’s active collection including their Outrun Tank and Short Sleeve Shirt, Surge 7″ Running Shorts, and a pair of ankle socks. When brands have such a high focus on style and fashion, I tend to discount them a little on the performance side from the get go, as history has shown us that most fashion focused brands aren’t always the greatest when it comes to performance. Contrary to my opinions on fashion oriented brands, Lululemon’s current active line performs with the best of the top athletic brands on the market. The Lululemon Surge 7″ Running Short has quickly become a short that has made it into my rotation of running shorts that I love to wear. While most running shorts will do okay with distances between 1-5 miles, the longer runs tend to separate the good from the bad. 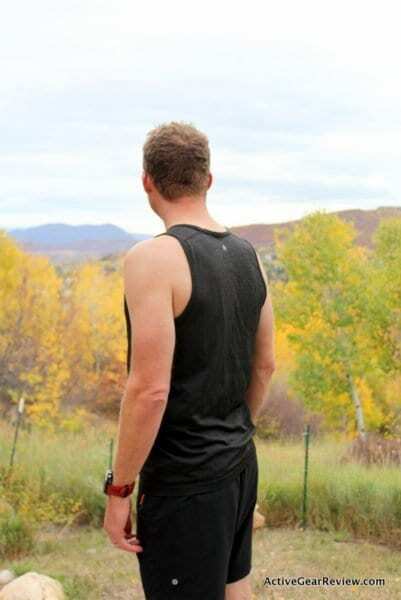 I’ve tested the Lululemon Surge 7″ running shorts on dozens of road and trail runs ranging between 5-10 miles, some track practices, and longer distances such as trail marathons where you’re out for 4+ hours. Through all my testings, I’ve had mostly good results with the exception of a run or two where I had chaffing in the inner thigh. 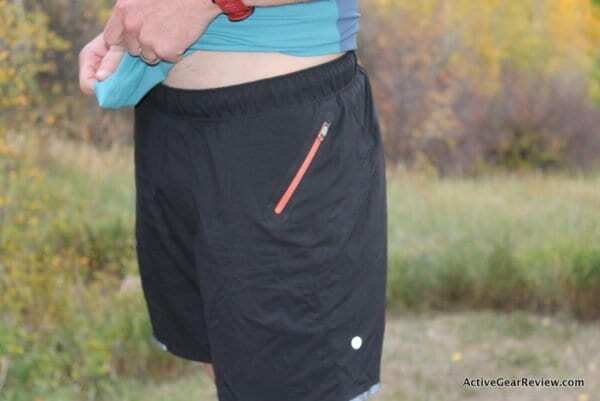 The Lululemon 7″ Surge Shorts have more features than the traditional running short. The liner of the short is a brief, which means no inner spandex shorts to give your thighs protection. The shorts offer plenty of reflectivity on both the front and back of the short for when you’re running in the dark. The fabric is super lightweight and doesn’t allow excess sweat to build up(this often causes chaffing). 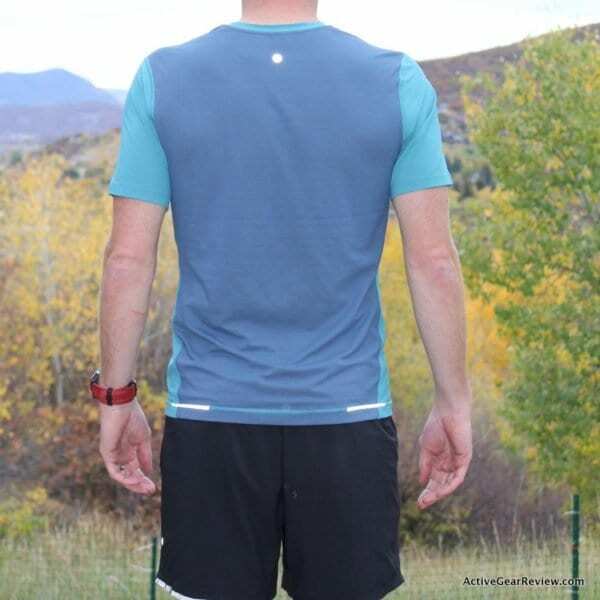 If you plan on taking your shirt off on the run, there are elastic bands on the outside back of the shorts that allow you to loop a shirt through without bouncing on your waist when you run. There is a pocket in the center back of the shorts that fit an iPhone 5 with a case on, but there is a little bounce when running. You can also throw in other items such as keys, gels, etc. 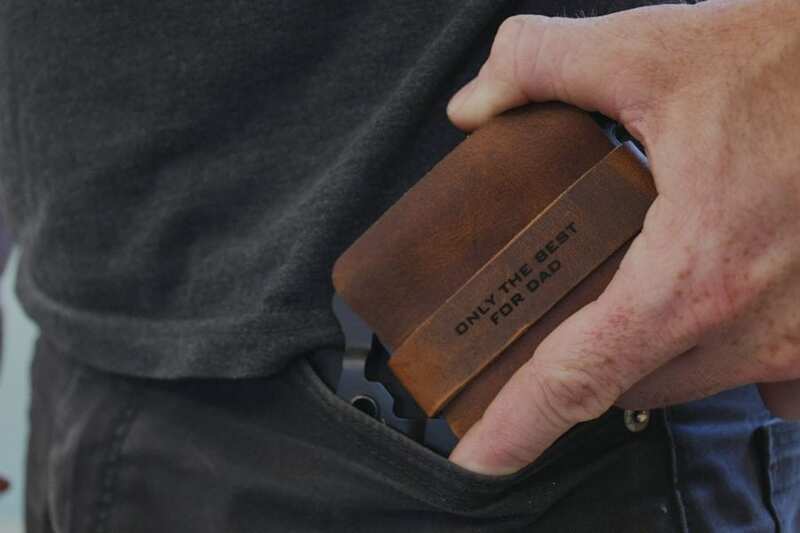 If you need a little more room for storage, there is an open inner pocket for things like keys or a gel. 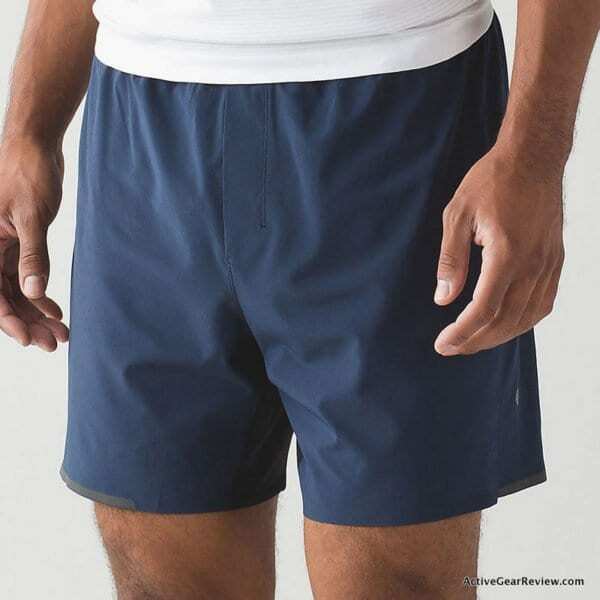 The seams along the bottom of the shorts are welded instead of stitched which adds a little to the cost of making the short, but reduces potential friction. The other stitchings on the shorts are flat-lock seams that prevents unnecessary rubbing on your skin. In high sweat areas, Lululemon uses a mesh material to allow for additional breathability. This includes the inner thighs, crotch, and just below the waistband on the back of the shorts. On the front of the shorts, there is a fake zipper fly opening. This only has style in mind with no apparent performance benefit. Personally, I’d like to see this go as all it does it add a little extra cost to making the short and I don’t think it looks any better from a style perspective. The fit of the Lululemon Surge 7″ running shorts are a tad on the small side. I am 6’0 tall and 175lbs and I typically wear a size medium in most brands for running shorts. 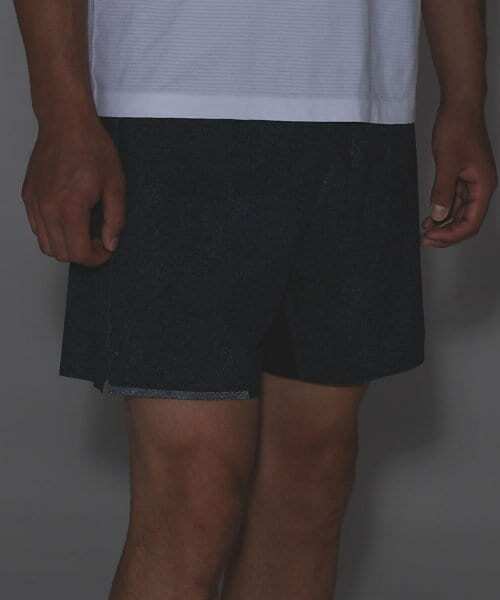 I feel that the shorts could be an extra half in bigger around the waist and leg openings to fit similar to other running shorts on the market. If you have bigger thighs, I would stay away from these specific shorts. Skinny to regular sized thighs are okay. I have regular sized thighs and while the shorts are a smidge smaller than normal, I haven’t found it to be an issue. The Surge 7″ Light Running Shorts are one of my favorite running shorts to date. 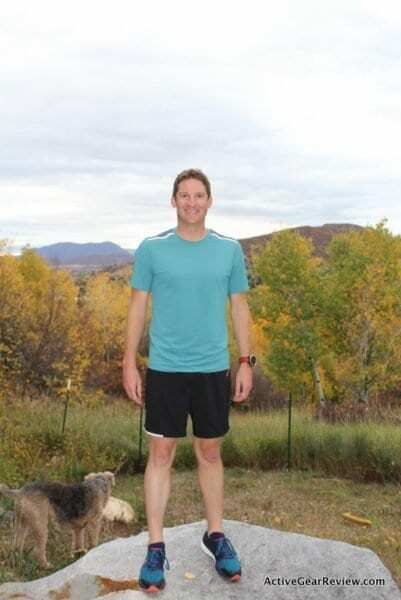 The main benefit of these running shorts in my opinion is the fabric used and the fit. 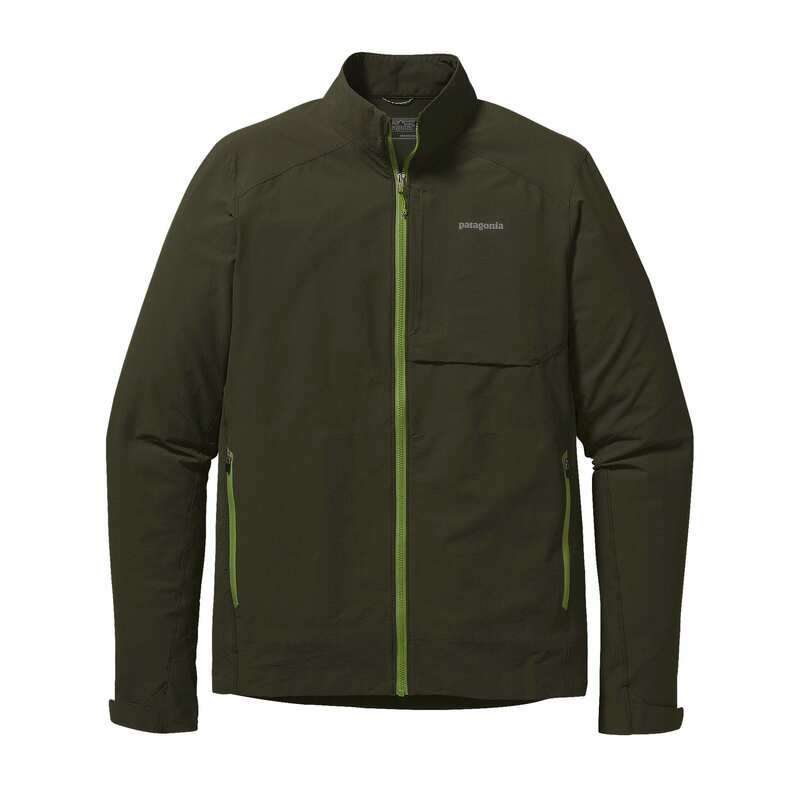 The fabric is super lightweight and flows extremely well with each stride. Instead of having the pocket on the back, the pocket in the Surge 7″ Light is on the left thigh. 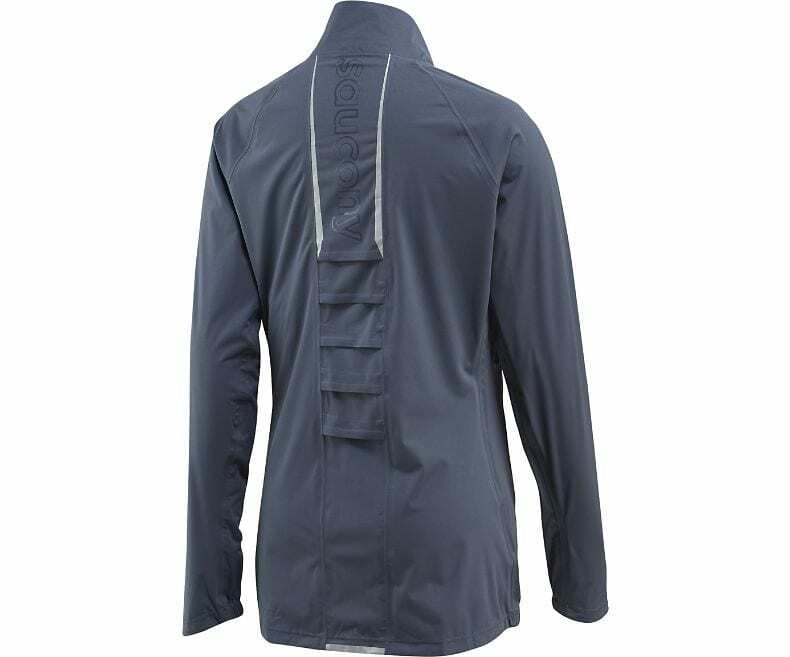 The elastic shirt holds are also available on the Surge 7″ Light. To add more ventilation to the Light version of the Surge 7″, there are small air holes throughout the short for ventilation. In general, these shorts are very similar and the fit is very similar to the standard Lululemon Surge 7″ running shorts. The main difference is the fabric and in my opinion, the Surge 7″ Light is the best way to go for the serious runner. When it comes to short sleeve shirts and tank tops, my primary goal is for them to fit correctly and that they don’t stink after a few times wearing them. Style and fashion of a tee shirt and tank top is all about the material used and the fit in my opinion. Logos and graphics are a bonus. 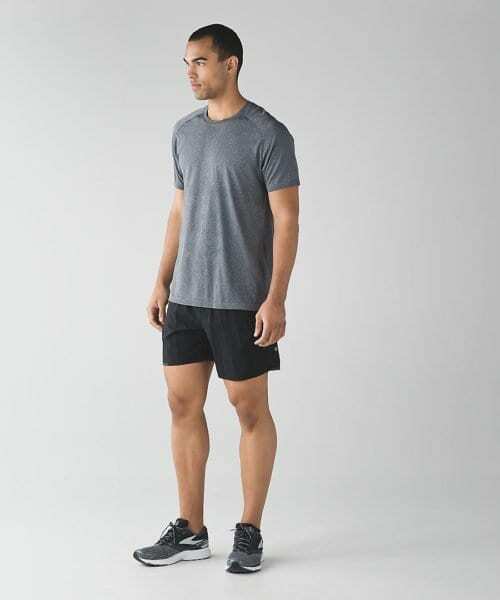 The Lululemon Outrun Short Sleeve Shirt uses X-Static with Silversent technology that prevents bacteria to grow and stinkiness to occur. The use of this technology/fabric is visible as there are tiny horizontal lines across the shirt and tank top. Through my uses of the Outrun Short Sleeve and Tank Top, I haven’t noticed any sort of smell coming after many uses. Smells and bacteria often come after 6-12 months of use, but having worn other X-Static shirts, I can say with a high level of confidence that the shirt will not start stinking anytime soon. Unlike other Lululemon tops, the fit of the Outrun Short Sleeve Shirt and Tank have a semi-loose fit. 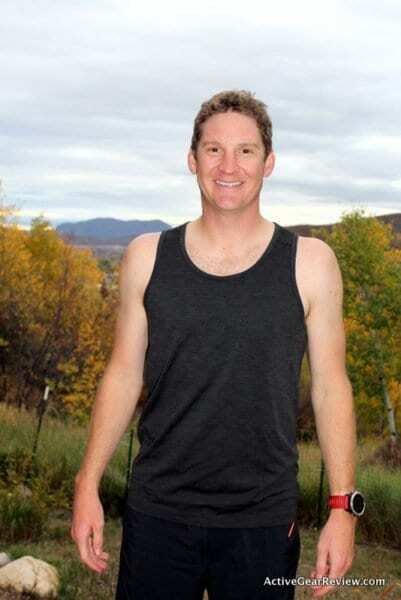 When running, the last thing I want is a shirt that is tight on my upper body. Both of these performance top options fit nicely on the body, I really like the black color option as you can wear the tee shirt version as a casual shirt too.